Tornado – The Advanced Guide! Throughout multiple Clash Royale metas, Tornado has been always a great card to have in literally almost any deck. Due to the special ability of this card, we can do tons of stunning moves, gaining positive Elixir trades and more. In this page, we are going to show you the best uses of it. Drags enemy troops to the center of the Tornado while dealing damage over time. Doesn’t affect buildings. The Tornado is unlocked from Arena 6 (Builder’s Workshop). This card is a 3 Elixir arena damage spell with moderate damage and a wide radius. The Tornado pulls troops (only troops) towards the center of the spell, making them vulnerable to splash damage. While being pulled, units are still able to attack. The Tornado doesn’t damage buildings at all so you don’t need to worry about triggering the King’s Tower when using it. After some recent balance changes in Clash Royale, our beloved Tornado got some great indirect buffs. Kills Goblins (Zap no longer can do this). Although this is a negative Elixir trade, do it in the really bad cases. Can pull Goblins from the Goblin Barrel off the Tower, to trigger the King’s Tower. The same thing goes to Hog Rider, Giant etc. Can counter Minion Horde with the help of the Crown Tower. Can bring the Princess in the range of your Tower. Let’s make her taste her sister’s arrows. Kill any Zap-bait troop without assistance: Fire Spirits, Skeleton Army, Goblins, Spear Goblins, Goblin Barrel etc. Zap is only better at resetting Inferno/Princes/Sparky/etc and dealing damage to Towers. Defend a target: Elite Barbarians are coming towards your Wizard? Hold them away from your Wizard while he is mowing them down. Bunch things up: Princess, Ice Wizard, Wizard and any other splash damaging unit love the Tornado! 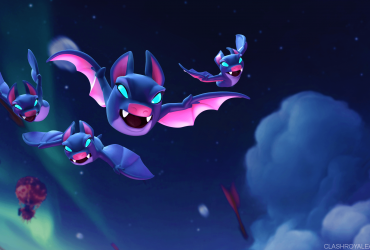 While keeping the enemy troops away from yours, Tornado is also grouping and dealing damage on them, making the most of your Princess, Ice Wizard etc. Deal Damage – Tornado can kill Skeleton Army and put Minions into 1-hit HP. This is probably one of the less useful aspects because there are so many cards doing this better. 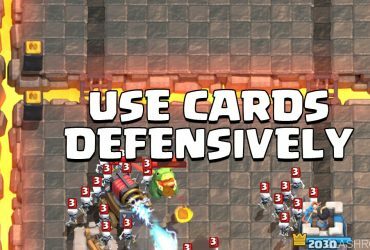 Force a re-target: Want to force the opponent’s Hog Rider, Miner, Golem, Giant, Lava Hound etc to target your King’s Tower? Yea here you go! Force on target: The opponent’s Barbarians trying to stop your Hog Rider from landing the last hit? Pull them to the back with Tornado! Get extra damage done: Keep the enemy troops far enough so your Inferno Dragon or Inferno Tower can deal tons of more damage! Change order of attack: Assuming that your opponent sends in a Royal Giant and a Mega Minion but your Tower target the Royal Giant instead of the Mega Minion. Use Tornado to pull them away! Due to their different movement speeds, the Mega Minion will be hit by the Tower first. Don’t use Tornado to force the Miner to activate your King’s Tower more than once! Tornado is one of the best spell in Clash Royale. Keeping doing that is such a waste. Take a look at many cases I listed above. Your Tornado Decks should have splash damage. Also, don’t leave this ridiculously OP defense out of your arsenal. If you glue your opponent’s defenders to his Tower, your Princess can hit them all at least twice. Hog Rider can be yanked to the middle and killed quickly without doing a single hit to the Tower. Split pushes can be yanked to the middle. While dealing with Royal Giant Deck, If your opponent trying to take out your second Tower by placing the Royal Giant in the middle, pull him away so that he will target the King’s Tower instead. Elite Barbarians locked on your Tower? Pull them to the King’s Tower or yank-and-insert your Guards to tank. 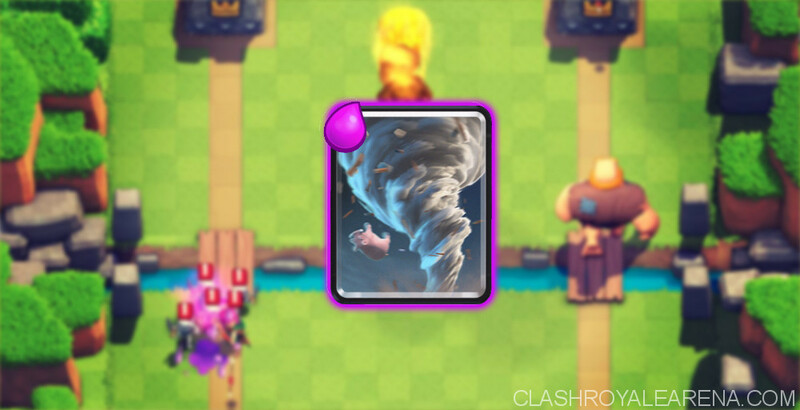 Tornado can be also used to split your opponent’s Elite Barbarians! Tornado them to the center then use Ice Spirit. Always try to pull huge pushes to the middle so both of your Towers can join the fight. The Royal Giant can be pulled away for 3 seconds while getting hits by your defenders, preventing him from doing 2 shots. Balloon can never hit your Tower If you have Tornado in your Deck. Clump defending troops to the Tower so your Sparky can remove them all at once. Pull the Lava Hound to the middle so your Towers won’t get hit while the Lava Pups also activate the King’s Tower. Even If the opponent’s Miner is soaking damage, you still have 2 Towers (including the King’s Tower) defending. Pull Hog Rider, Giant, Golem etc to your King’s Tower. Just place the Tornado 1-2 tiles from the King Tower, in the center. Kill Princess/Clones for an equal trade. Pull back defending units placed behind the Tower, prevent your troops from being distracted. Group/Hold units to make the most of your Price/Ice Wizard/Inferno Tower/Wizard/etc. Pull the opponent’s support troops to prevent their damage while his tank is being dealt with. It pulls all units, both air and ground, regardless of their weight. It doesn’t kill anything stronger than the Goblins, meaning it can’t kill Minions. Tornado can’t pull ground units over the river but flying units. Since P.E.K.K.A and Golem load time are pretty long, you can easily use Tornado to pull them to the other lane If they are near the center. The Tornado can pull units which are not walking (being loaded). But if the unit is already walking and you try to pull it away from where It wants to go, it will resist the Tornado. However, if you pull it towards its intended destination, it will be pulled significantly faster. Use this wisely in different situations. When the Inferno Dragon is locked on your Tower rand you don’t have Zap/Lightning, use Tornado to pull him away. If your opponent uses the Pig push to bypass your defensive building in the center, use the Tornado to counter his move. 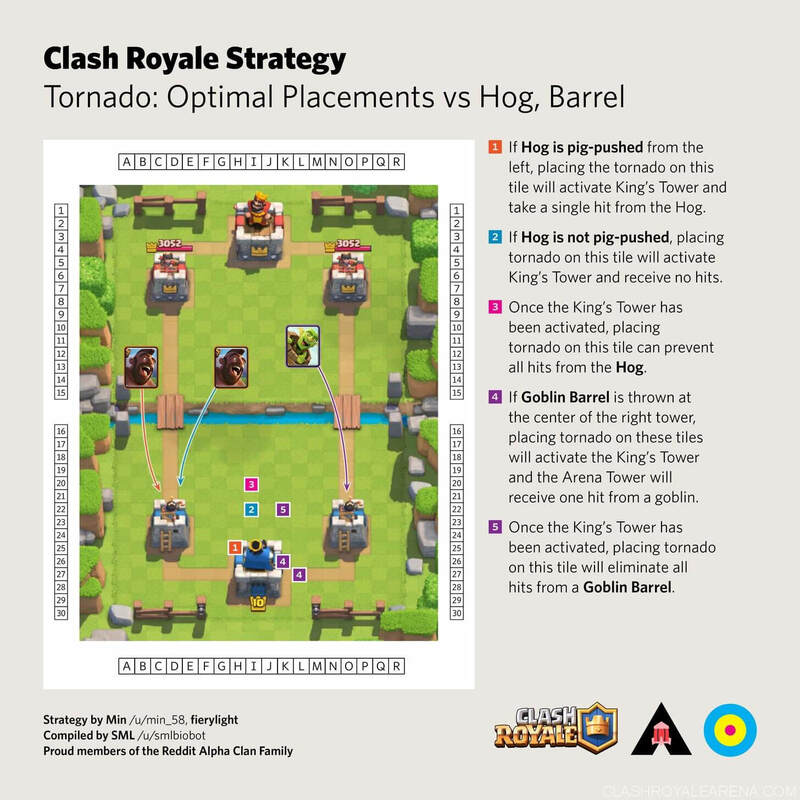 If your opponent uses the Tornado on defense, take the advantage of this by using Hog/Giant to speed them up. Tornado doesn’t break Prince’s charge or Sparky’s charge. You can pull the Royal Giant far away from your Tower, force him to attack the other building (see more in the video below).